Waseca SWCD, Waseca County, and MN Pollution Control Agency are conducting regular monitoring of two areas in Waseca County. The areas are a site on the Iosco Creek and a site on Bull Run. Tyler Polster, DIstrict Technician Waseca SWCD, Hailey Byron, Waseca County Water Specialist, and Mn PCA are all involved in monitoring and collecting water quality data from these sites. This is done on a weekly basis from April through October, weather permitting. Water samples are sent to a Lab to test for impurities and clarity in the area streams. 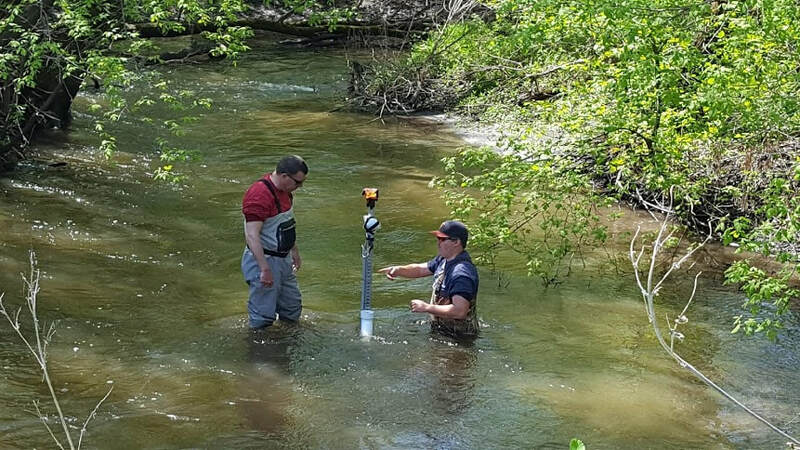 Tyler Polster and Paul Davis from MN PCA, are setting up Monitoring Equipment in Iosco Creek. Tyler Polster is taking measurements from Bull Run Site.